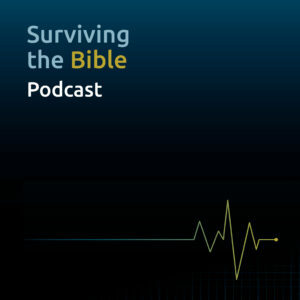 Welcome to the first episode of the Surviving the Bible podcast. This is a lectionary podcast not just for pastors or preachers, but for Bible nerds everywhere. Each week Christian and Amy Piatt (from the Homebrewed CultureCast) and Tripp Fuller (from the Homebrewed Christianity podcast) explore the bible readings for the week. You’ll get three different perspectives on three different texts to help you survive reading the Bible. This week is the fourth Sunday of Easter. Tripp looks at the Acts 4:5-12 story of Peter healing the lame man. He suggests that if you pay attention to the Acts passage from last week, this story becomes so much larger than how the last verse is usually understood. When understood in its context, it asks some pretty powerful questions, like, what does the word “saved” mean in this text? It brings to the surface the problems of empire Christianity, how the healing itself confronts ritual purity laws, the sociological category of “sinners,” and challenging to the content of faith, not the form of it. Christian gives us an overview of this week’s texts and points at some larger themes found therein. We just got through Easter – after a long slog through Lent – and yet here we are, already getting texts about death and darkness. He talks about the shift of leadership and how the sheep have now become the shepherds, disciples performing miracles and deemed a threat to the state, and how there’s so much more to Psalm 23 than just feeling comforted. Amy tackles John 10:11-18. She gives us a quick lesson about sheep, explores social science about kids on playgrounds, and explains why that’s relevant. Plus, how challenging the boundaries is different than having them removed altogether, why having fewer choices might not be what we need, dismissing people as sheep, and the boundaries of the church (both the good and the bad).